As delivered in 1935 RN 7588 was a coach with a 31 seat English Electric body, one of a batch of 18 and numbered 1420. After the war it was one of many pre-war Ribble vehicles which were earmarked for rebodying. Our example was given a 7.4 litre E181 engine and a new Burlingham bus body and given the number 2700. There have been suggestions that identities became mixed up during the rebuilding process so 2700 may or may not have been derived from 1420! In the 1951 renumbering scheme 2700 became 209 and it remained in service until 1960 when it was withdrawn from Skerton depot. 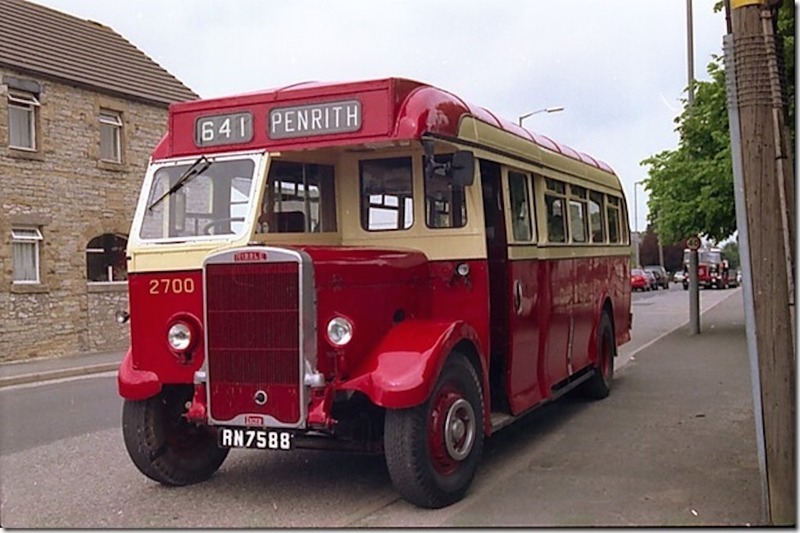 Like many Ribble buses at that time it was sold to Millburn Motors and it later went to a Kendal carpet manufacturer, Goodacre & Sons, presumably for staff transport. In 1966 it was sold to a Blackpool dealer but by 1972 it was being used as a garden shed in Fleetwood. Rescued by a couple of RVPG members it was stored for some time before being taken on as a restoration project by the Bolton Bus Group. One of their members completed its restoration (and painted it in the 1950 style numbered 2700) but due to ill health he donated it to RVPT and it saw regular service with us for several years. At an event in Chorley in 2001 it suffered a major mechanical breakdown which required extensive treatment. Overhaul of the engine and gearbox was completed some time ago but there are also a number of bodywork issues which need to be addressed before it can be returned to service. It is a key member of our collection so it will be dealt with in due course.